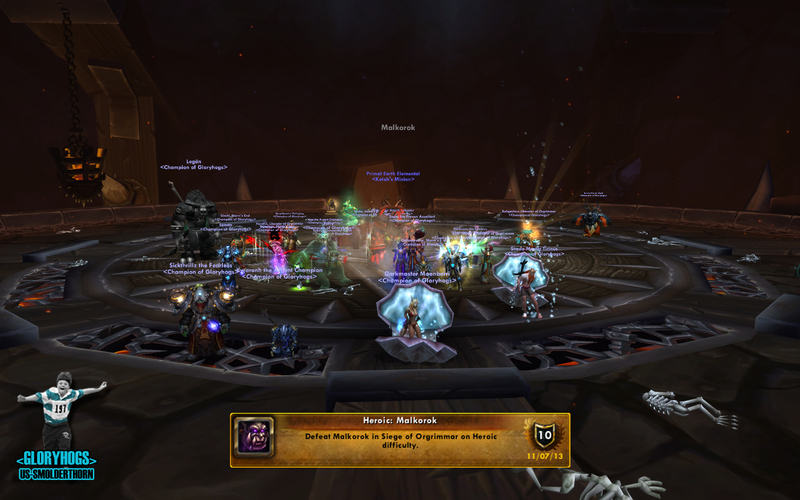 Gloryhogs - A Smolderthorn Horde Guild - View topic - Malkorok Eradicated. Smashing Baby! Post subject: Malkorok Eradicated. Smashing Baby! REALM FIRST Heroic Malkorok 25 down. US#144, 9/14HM.